New Testament of Our Lord and Saviour Jesus Christ, Translated out of the Original Greek and with the Former Translations Diligently Compared and Revised. New York: The American Bible Society: 1864. 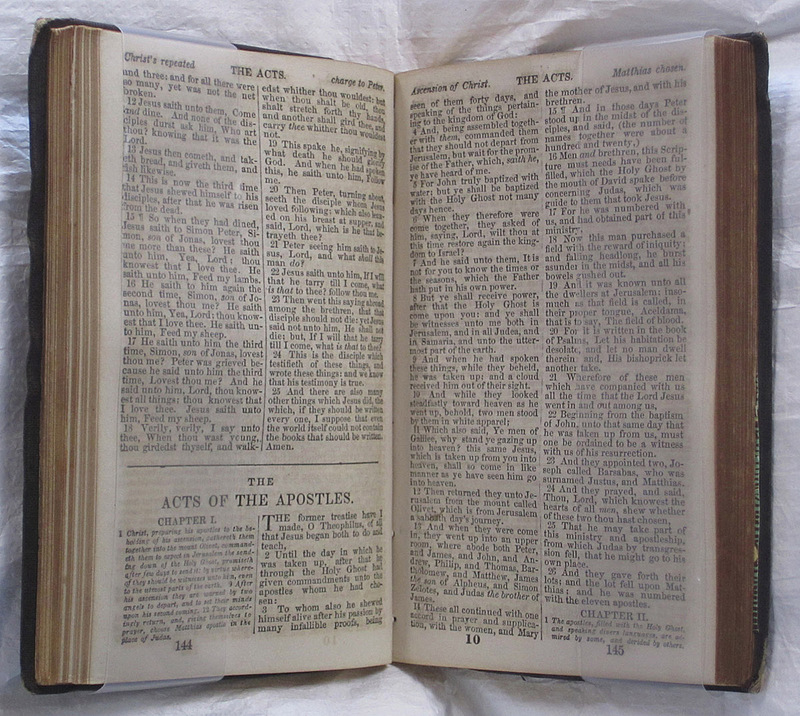 These small, Pearl format pocket Bibles were distributed to U.S. soldiers by the American Bible Society, in continuation of a tradition begun by the Army and Navy in 1817. 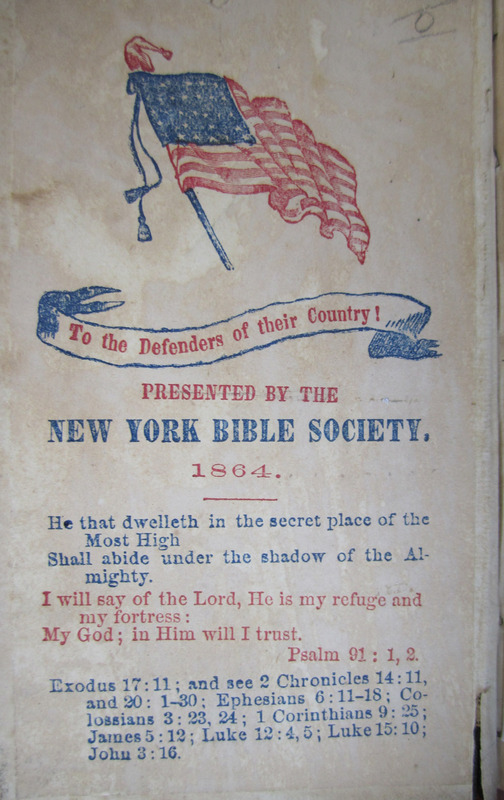 The Civil War posed a real dilemma to the New York based society; continuing to distribute Bibles to its auxiliaries in the Confederate states despite its opposition to slavery. A splinter Confederate States' Bible Society was formed, but the American Bible Society continued to cross battle lines on both sides, distributing more then 3,000,000 Old and New Testament volumes before the end of the war. The separate-volume pocket Testaments were highly prized for solace and leisure reading, and would be exchanged for food by prisoners of war. Even amidst the squalor of the POW camps, the right of every man to read the Bible was considered sacred.